Patch Notes for Feb 20 2012 Update. Note: Some items may have been introduced to live prior to Scheduled Down Time. Major DB Overhaul to bring current with patches. Bot Pets Zoning Bug Fix. Further Improvements to Bot Healing. Lower Guk and Befallen have been returned to normal leveling zones. Instanced versions of the raid zones have been added. Guild Lobby Hub overhaul. Introduction of new NPCs. Functionality of some existing NPC has changed with alignment of new NPCs. New starting gear vendors at no monetary cost. Relocation of melee aug vendor for ease of use. Introduction of caster aug vendor. Option to change PoP Progression Charm into Aug to enhance Server Charm. Epic Quests & Alt. Time Access Quest moved to new NPCs allowing the High Priest of Luclin to resume him day job of soulbinder. 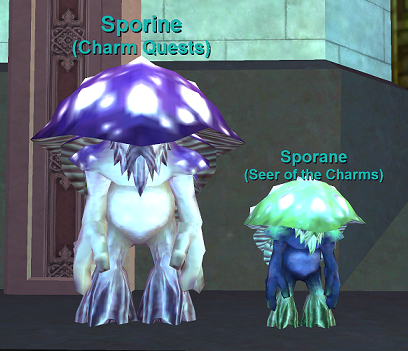 Progressive Charm Quest for Levels 10 to 70+ - Visit Sporine in the Lobby for details. Introduction of Low Level Armor Quests. Look for the party of goblins in the Guild Lobby. Tasks are repeatable and you can complete any armor type. Great for helping gear bots! Establishment of the Norrathian Technical Institute. For all your tradeskilling needs. New Tradeskill Vendors & Mini-Quests to help with hard to obtain tradeskill items such as foraged goods, imbued gems & enchanted metals. Welcome to Server Task for all new characters with starting gear rewards for non-vendor armor slots. Removed Fear line of spells to make bot more friendly to indoor grouping.